Everyone at RW Insurance is dedicated to providing experienced, knowledgeable guidance to families and businesses seeking new or updated insurance policies. Whether you need auto insurance, homeowners insurance, personal life and health insurance, or employee benefit packages and commercial insurance, we’ll help you compare rates and coverage, and select the policy that’s best for you. Contact our insurance agents in Dover NH directly, or call our office at (800) 734-8979. I am a native of Dover, NH. My wife Karen is also a native. We have three children and 6 grandchildren. I started working for RW Insurance in 1971 and purchased the agency in 1991. In my free time I enjoy spending time with my family, playing golf and visiting our second home in Florida. I was born and raised in Dover NH, graduated from Dover High School in 1987. I currently live in Rochester with my wife Melissa and my two sons. I have been employed with RW insurance for 17 years. In my free time I enjoy snowmobiling, golf and spending time with my family and friends. 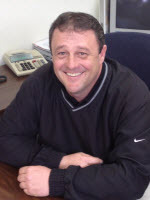 Toby came to RW Insurance in 1995, working in our personal insurance department. In 1997, he moved into the Life, Health and Employee Benefits department, where he has been ever since. 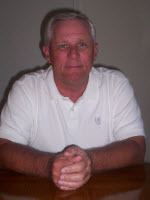 Toby served as the Chairman of the Board of the Independent Insurance Agents Association of NH in 2007/2008. 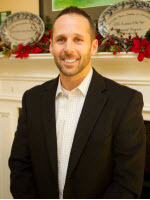 He is very active in the Dover community, serving on several boards and committees for local not-for-profit companies, and was named Volunteer of the Year by the Greater Dover Chamber of Commerce in 2017. Toby lives in Dover, with his wife, Kim. I’ve been with RW insurance for three years and have been with the insurance industry for 25 years. I grew up on the North Shore of MA, and have lived in Rochester, NH for the past seven years. In my spare time I like to read and spend time with my family, especially my two grandchildren. 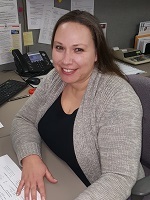 Stephanie has been in the insurance industry since 2012, and here at RW since 2014. She lives in Rochester with her husband and two children. When not glued to her computer screen, she enjoys spending time with her family, gardening or running. If you’re one of our personal insurance clients (home, auto, boat, umbrella), and your last name begins with a letter A-K, Stephanie is your representative. Give her a call if you need anything!